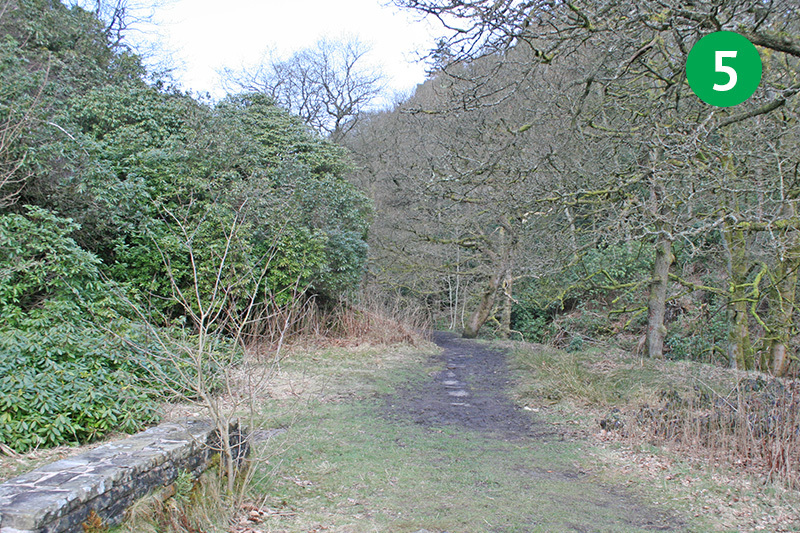 There’s a mix of easy walking along tree-lined footpaths with up and down striding across stony – and often muddy – tracks in this five mile walk to discover what remains of Goytsclough Paint Mill. 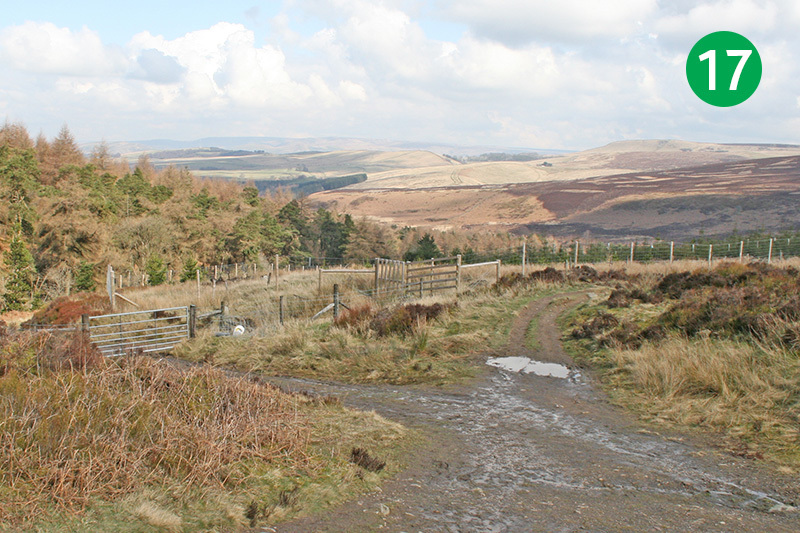 Starting from Errwood car park, it passes the ruins of Errwood Hall and two once-attractive farmhouses before rising across open moorland and then descending to Goytsclough and the single road to Derbyshire Bridge. 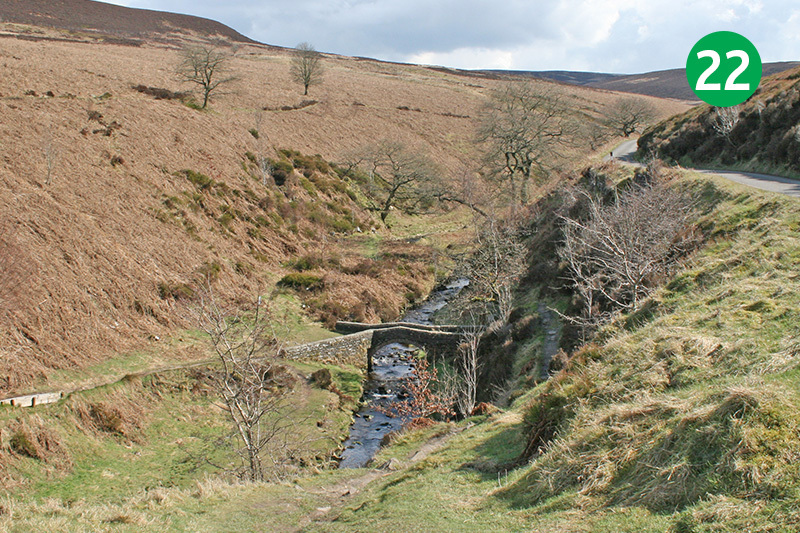 It’s not my favourite walk in the series, but it does have its rewards, particularly if you’re interested in the industrial history of the Goyt Valley. But it’s perhaps better on a fine day – rather than the end of a fairly damp March. 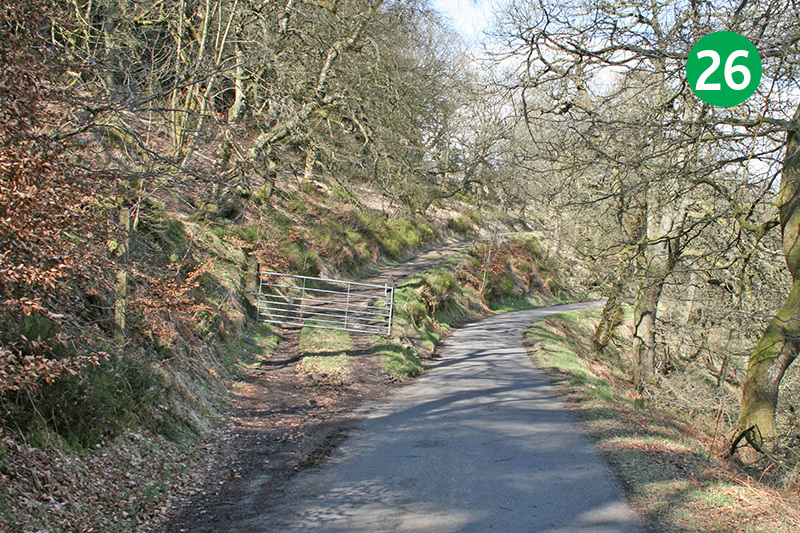 1: The walk starts from Errwood car park, which is about half a mile along the narrow road beside Errwood Reservoir. 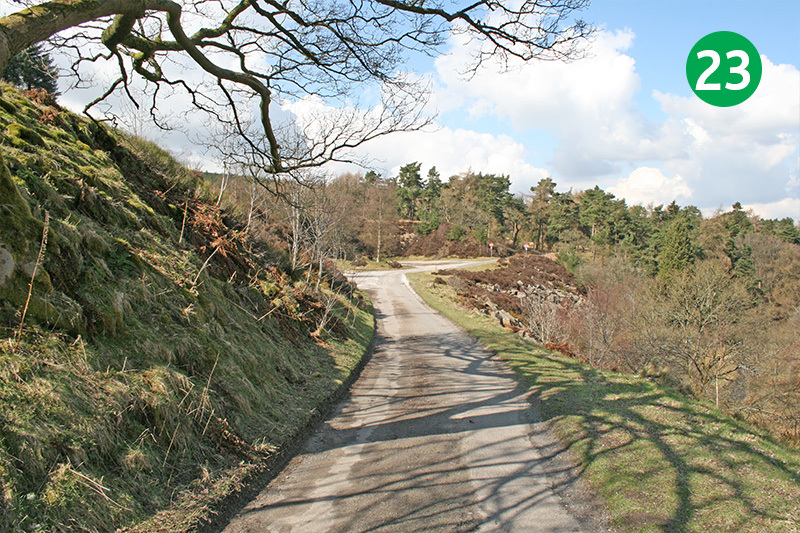 If this road is closed (it will be on Bank Holidays and Sundays from May to September), park in the main car park between the two reservoirs and walk to the smaller car park. 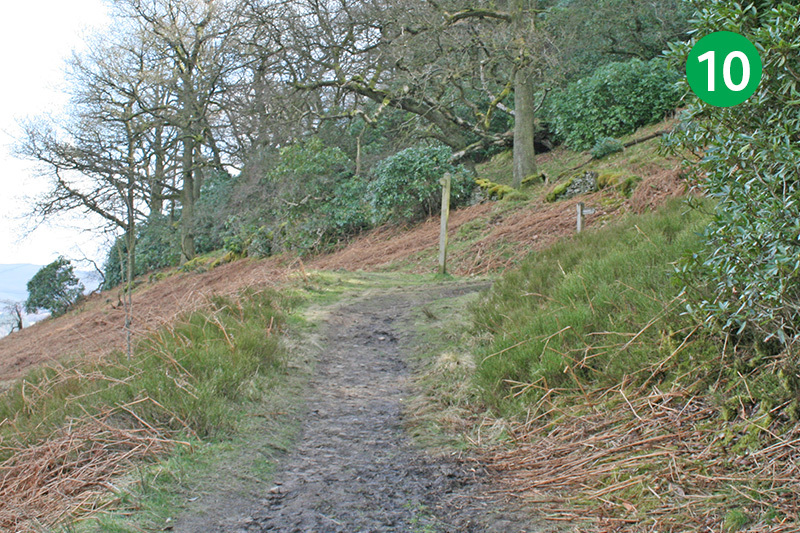 2: Walk up the slope beside the information board at Errwood Hall car park, go through a gap in the stone wall at the top, and turn right, down the track. 3: Keep on this track until you reach a junction of paths. 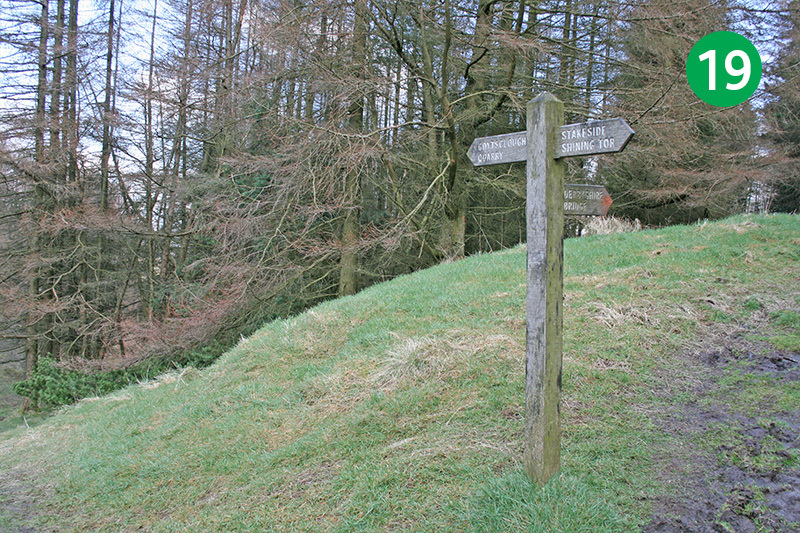 Then follow the footpath sign pointing right to the ruins of Errwood Hall. 4: There’s lots of information about the hall on the website, as well as many old photos showing it in all its former glory. It was demolished in 1934 during the construction of Fernilee Reservoir to the north. 5: With the ruins on your left, continue in the same direction, past the remains of what was once the hall stable block. 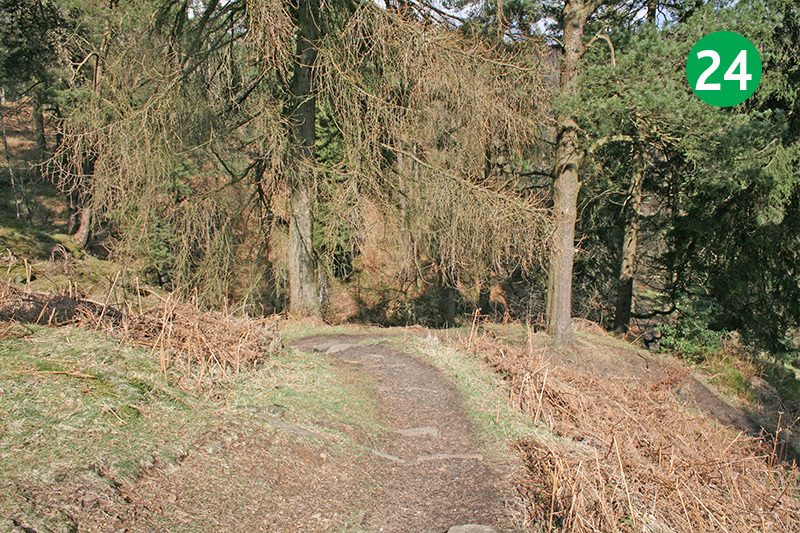 6: When you get to the end of this path, go over two small footbridges, and then head up a series of steps on the left. 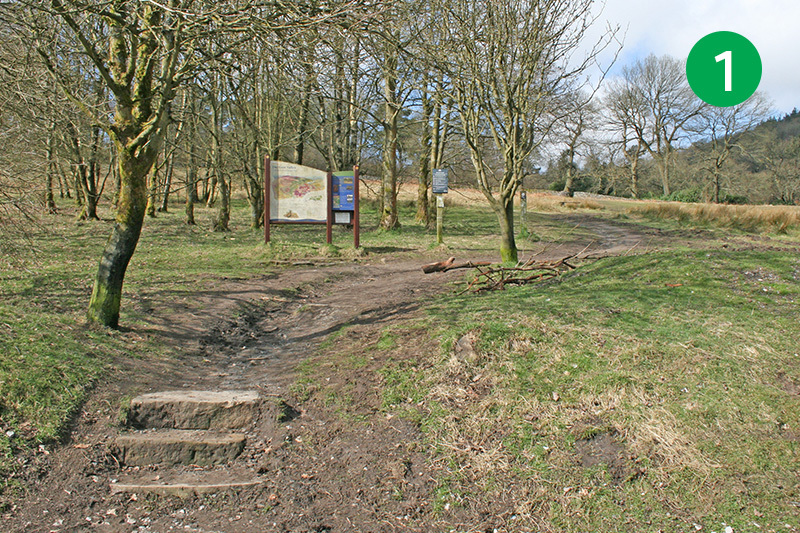 7: Walk up the grass slope. When you get to a footpath sign, look up the hill to your left. Up here are the graves of the Grimshawe family who once owned the hall. To your immediate left are the ruins of Castedge Farmhouse. And the walls opposite once surrounded vegetable gardens. Keep these walls on your left and head down the gentle slope. 8: Look out for some more stone ruins on your left. 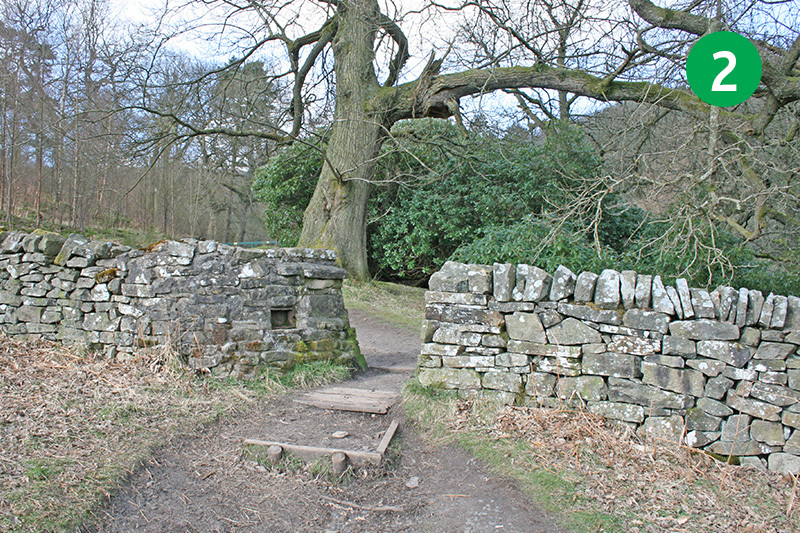 These are the remains of Shooters Clough Cottage, once home to the manager of the nearby coal pit. Continue in the same direction along the tree-lined path. 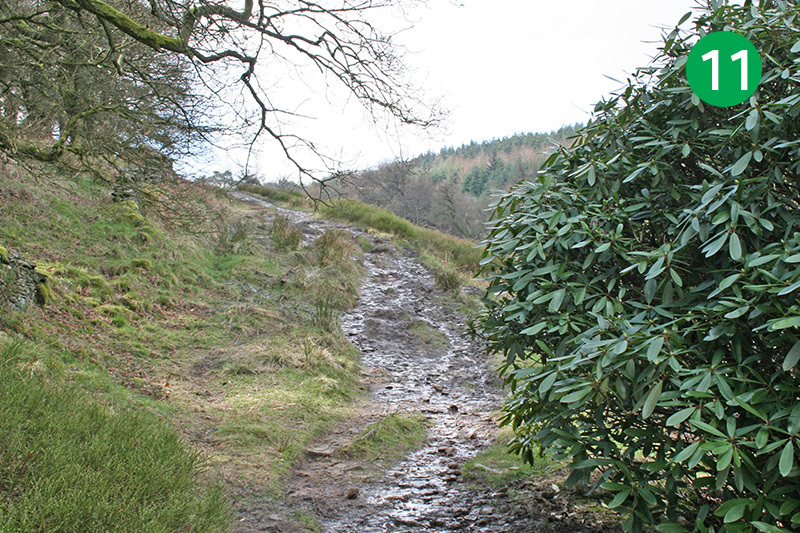 9: When you reach the end of the path, cross the stream on your left and follow the track up the slope. 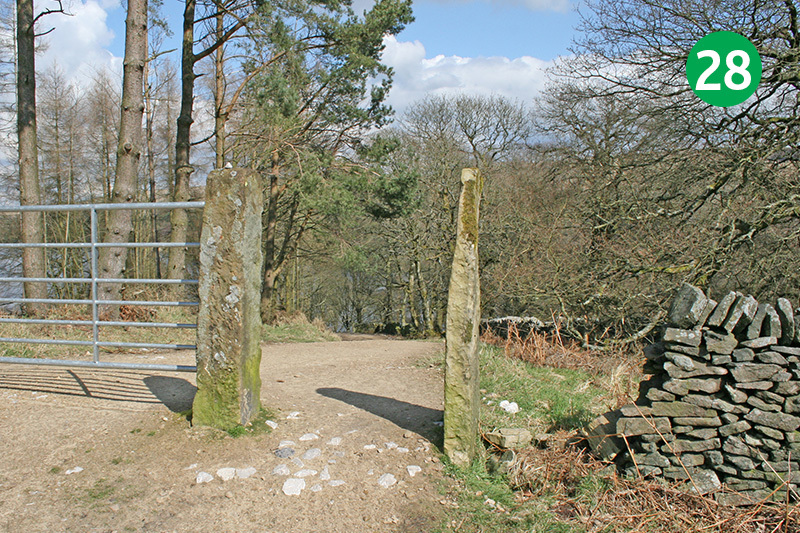 12: Turn left between two concrete gate-posts and continue up the slope. 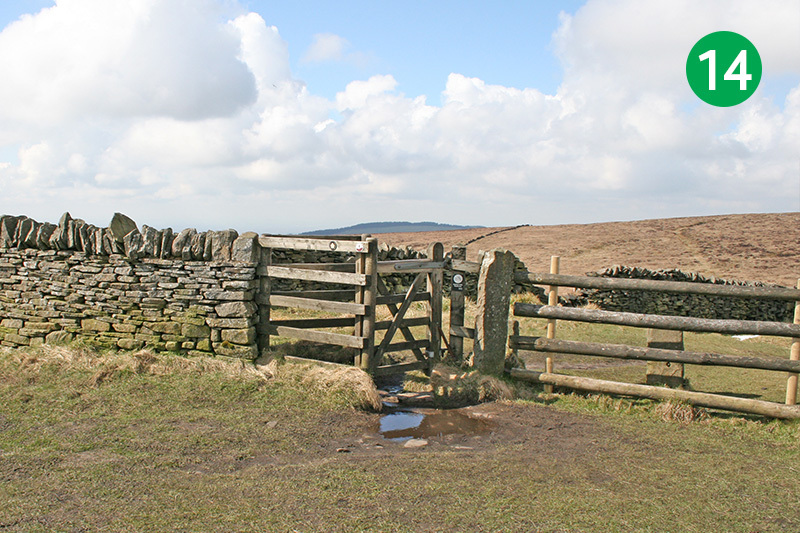 13: As you exit the path through a small gate you will be able to see Errwood reservoir in the distance. (To shorten the walk, simply follow the path back down to the car park.) 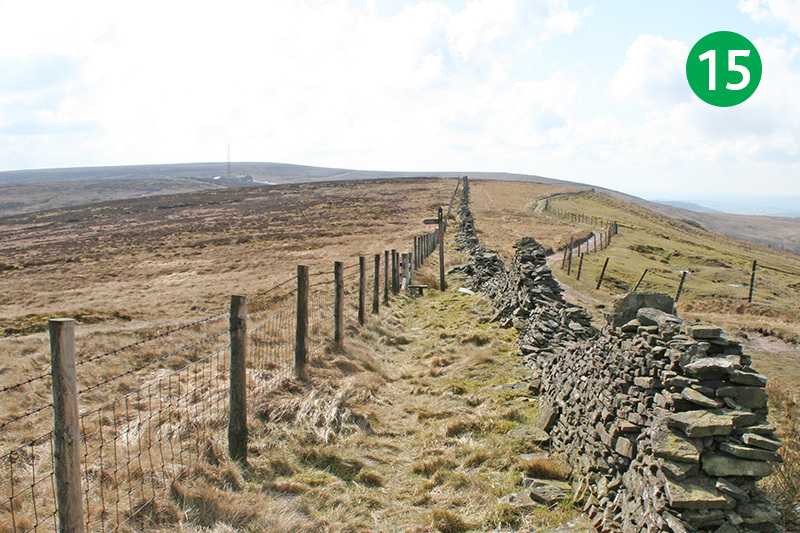 To continue the route, turn right, keeping the stone wall on your right. 14: After some distance you come to a small gate on the right, beside a footpath sign. 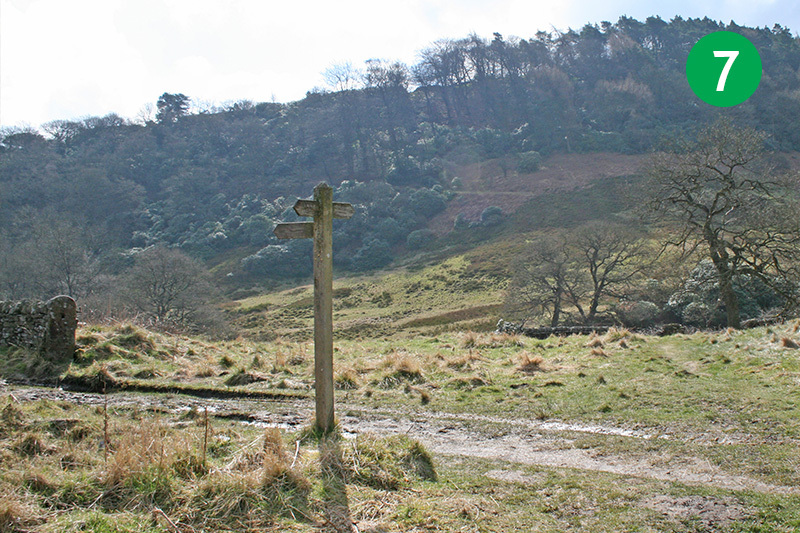 This is the path to Shining Tor with its wonderful panoramic views. But to continue this route, keep following the path straight ahead, with the wall on your right. 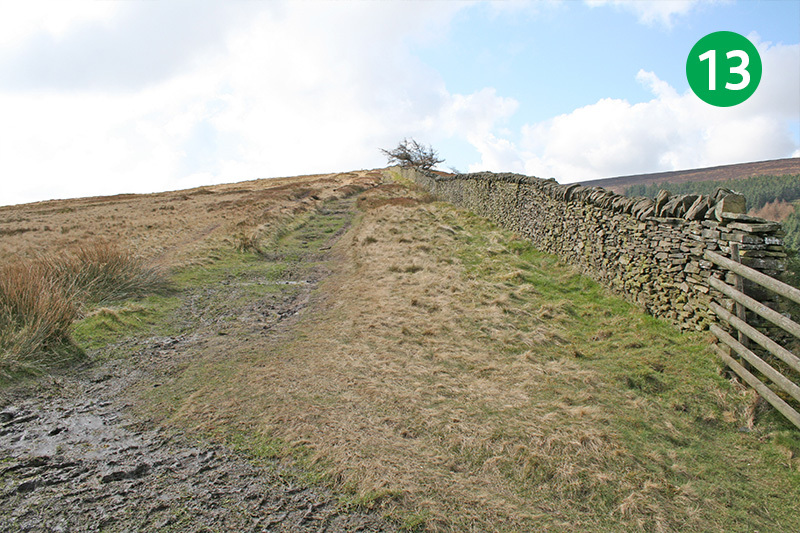 16: Follow this stoney track down the slope, keeping the stone wall on your left. 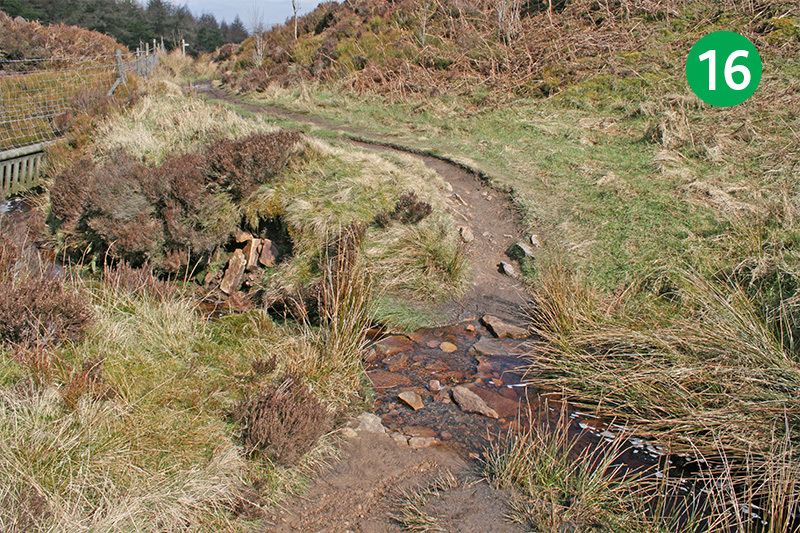 Cross over Stake Clough stream and follow the path as it winds around. 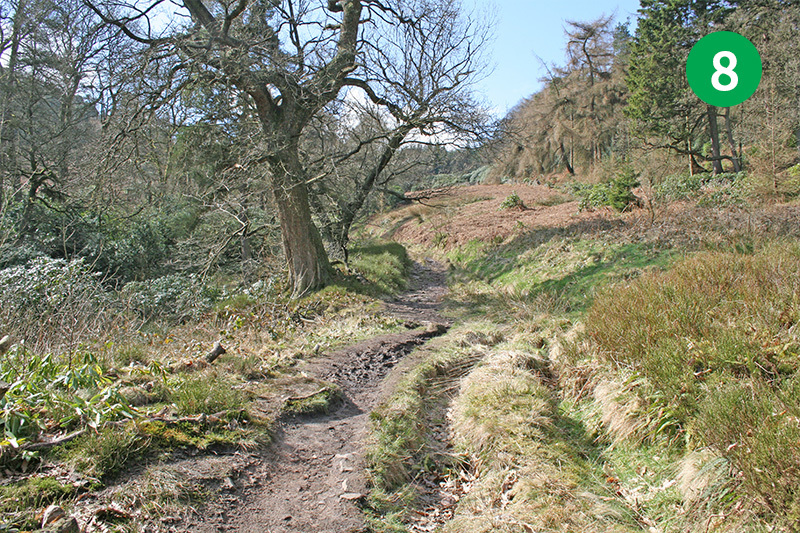 18: Go over a couple of stiles, following the narrow path as it winds down the slope and through the trees. Eventually you come to the remains of a sluice gate on your left. 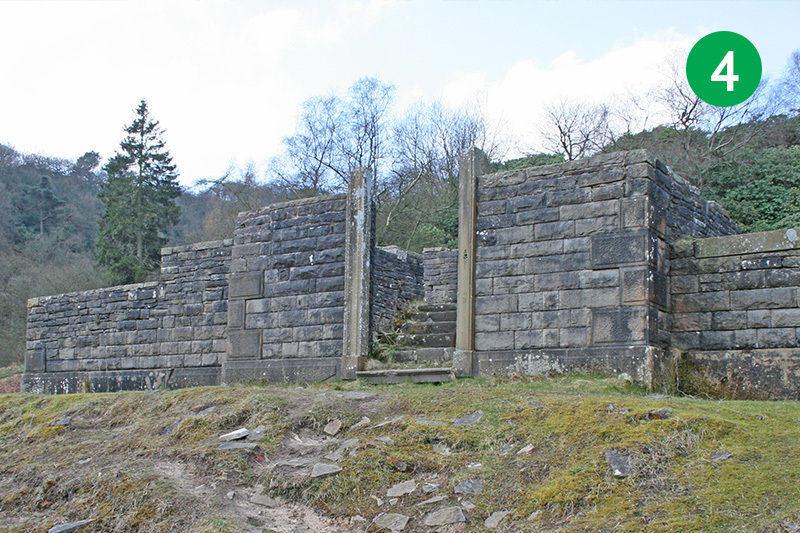 This controlled the water supply along Deep Clough which powered the mill stones in the Victorian paint factory. 19: Follow the path up towards a footpath sign. 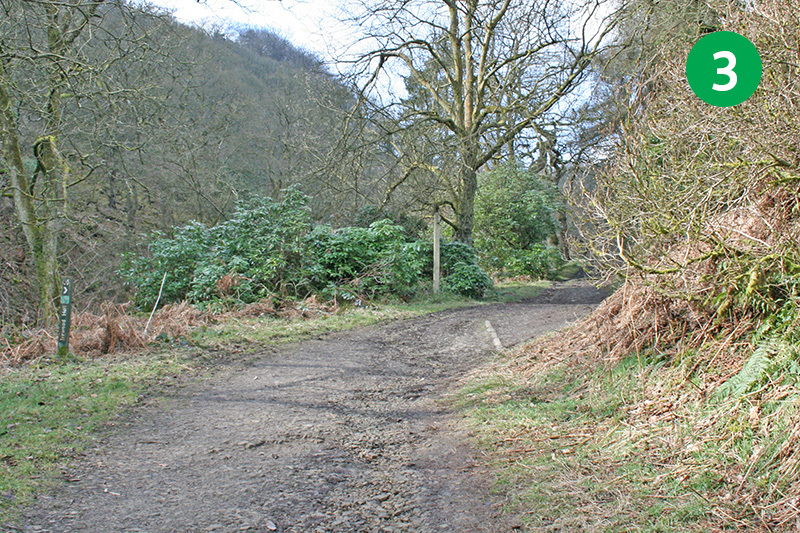 The remains of Goytsclough Farm are hidden in the undergrowth slightly further up the slope on the right, in the direction of Derbyshire Bridge. Turn left at the sign, in the direction of Goytsclough Quarry, along the narrow footpath. 20: Exit the path through a small gate. To your right is a small reservoir which provided additional water to the mill. 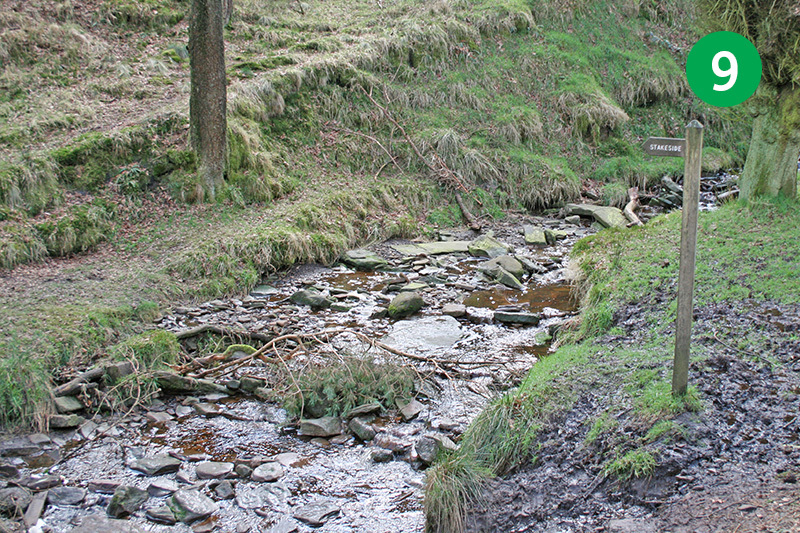 This was fed by a man-made channel cut across the hillside and which ran for some distance (it’s completely dry today). Head down the slope to your left to reach the level of the small road. 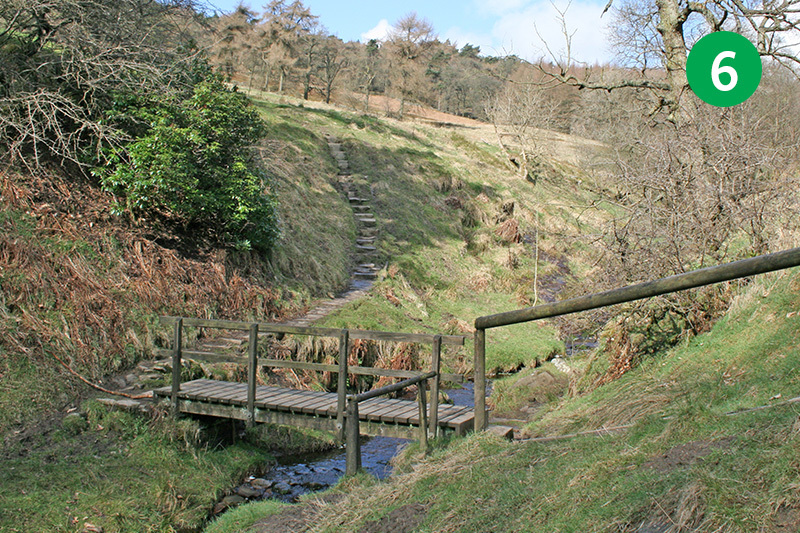 22: If you walk a short distance up the road to your right, and look down into the valley, you will see the ancient packhorse bridge which was moved here from the hamlet of Goyt’s Bridge in 1965, shortly before Errwood Reservoir was flooded. Click here for information and old photos of the bridge. 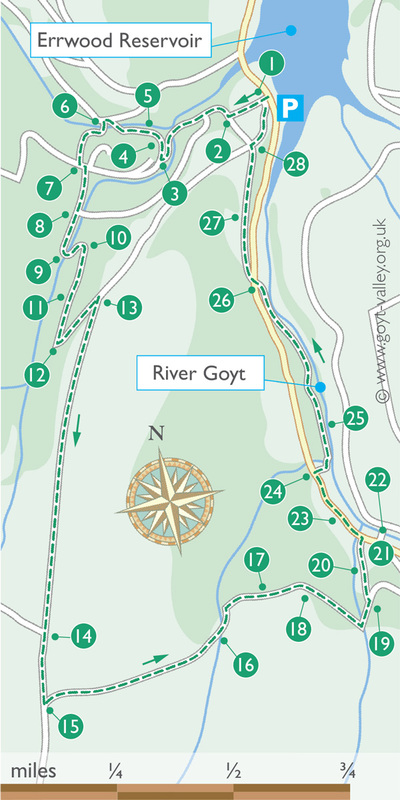 23: To continue the walk, head back along the road, keeping the river on your right. 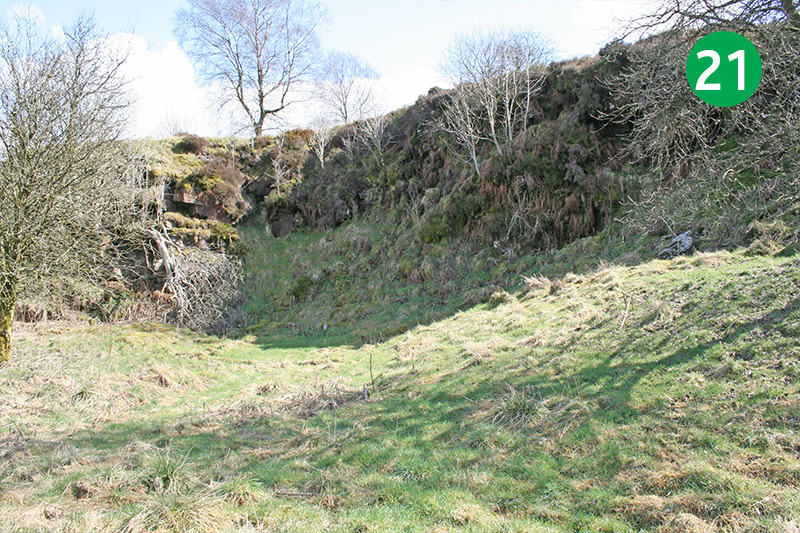 The open area on the left was once used to load stone from Goytsclough Quarry. 24: Look out for a footpath sign on your right, just past a couple of ‘no entry’ signs. 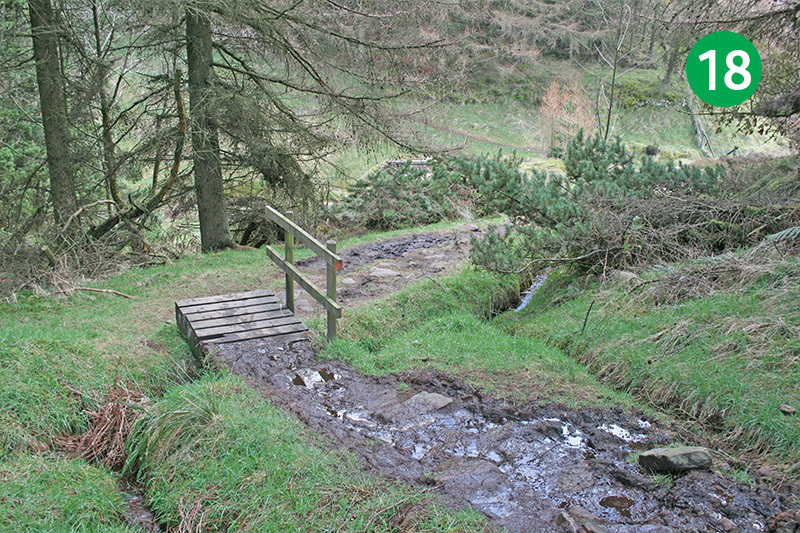 Head down a series of steps to reach the River Goyt. 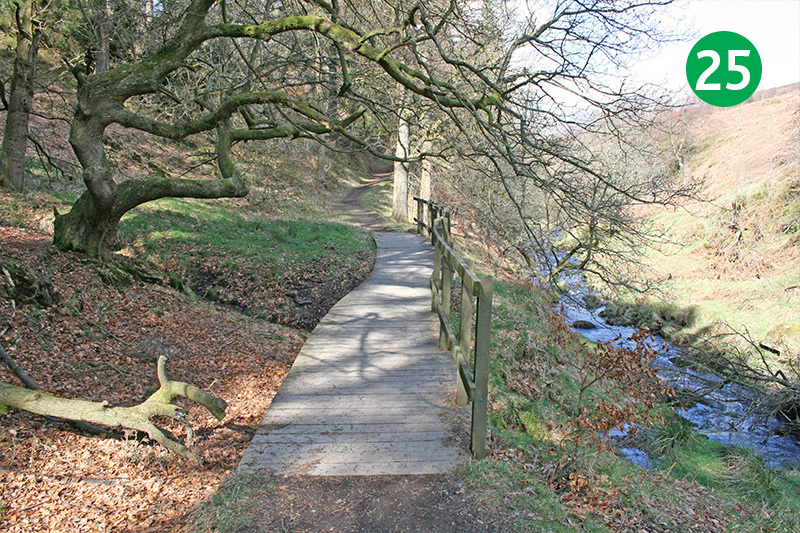 25: This attractive footpath is known as the ‘Riverside Walk’, and reveals the natural beauty of the Goyt Valley, much of which now lies beneath the twin reservoirs. There are some great picnic spots along here beside the water, and it’s a perfect place for families with young children – as well as anyone with mobility problems. 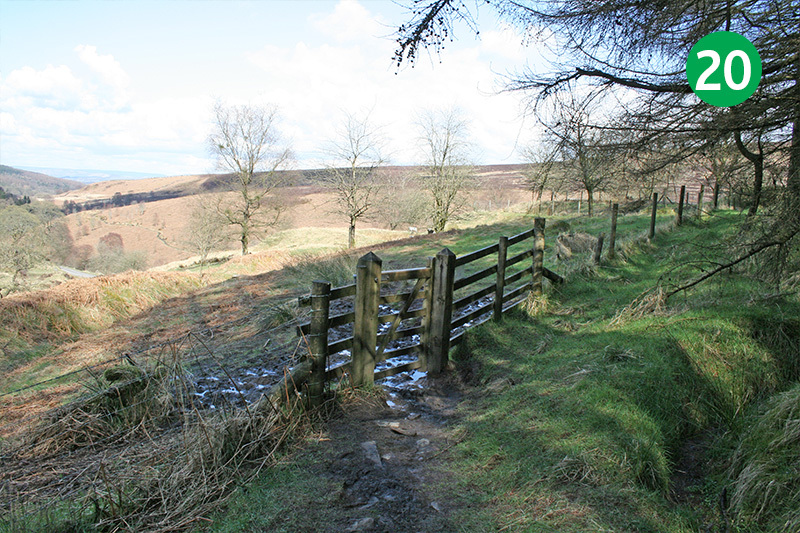 26: Follow the path as it winds up the gentle slope, exiting through a small gate. You can head down the road to reach Errwood Hall car park, but I prefer to go through the gate on the opposite side of the road. 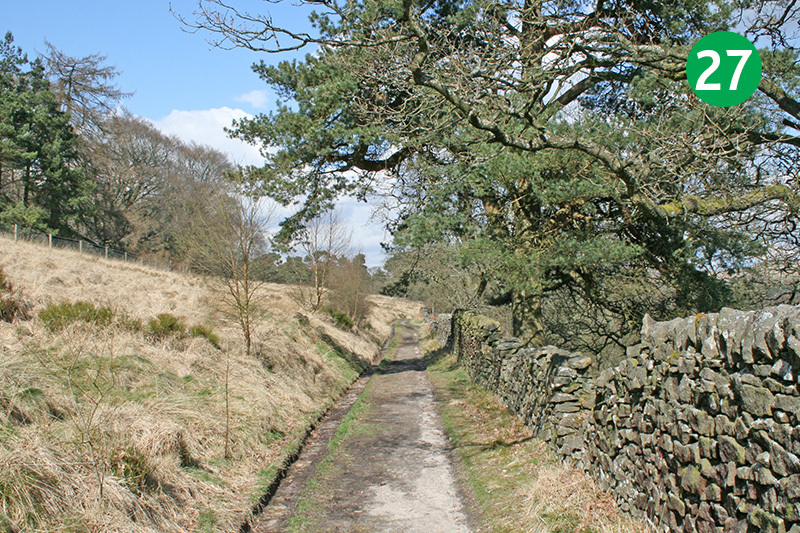 27: Follow this track, keeping the stone wall on your right, until you reach a pair of stone gate posts. If you look up the slope to your left at this point, you will see the path running down from point 13 on this route. 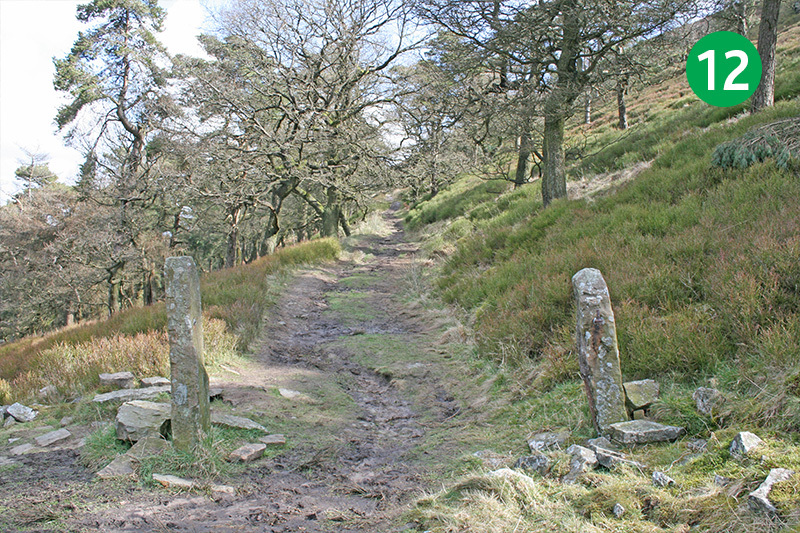 28: Go between the stone posts and along the track to return to the starting point of Errwood Hall car park.